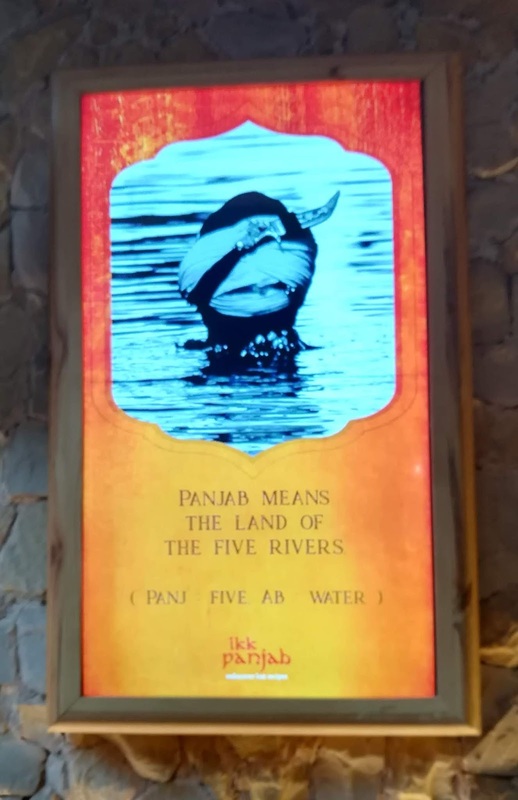 The word Panjab means the land of five rivers as Panj means Five, and Ab means Water. 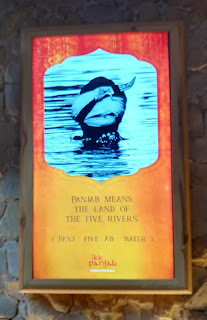 The five rivers that flow through the state are the five tributaries of River Indus namely Ravi, Beas, Chenab, Jhelum, and Sutlej. 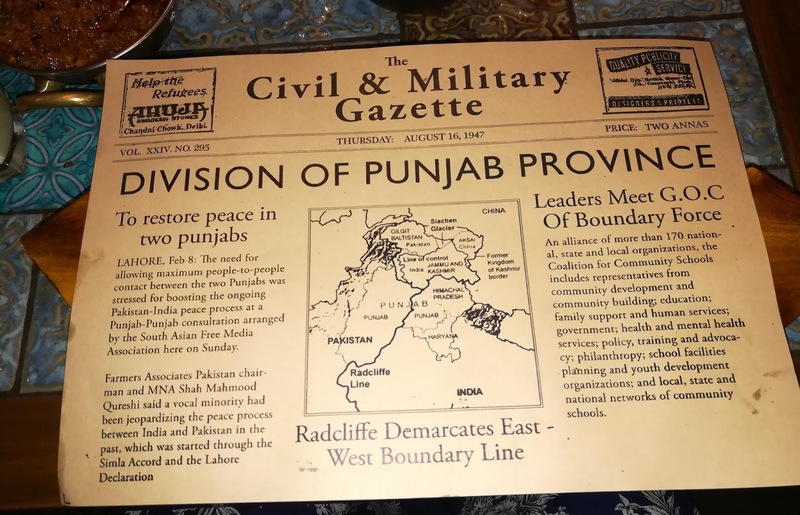 Since ancient times, owing to its location, the kingdom was constantly under attack and invasion for centuries and was home to multiple empires like Mauryas, Guptas, Huns, Mongols, Mughals, and the British as well. 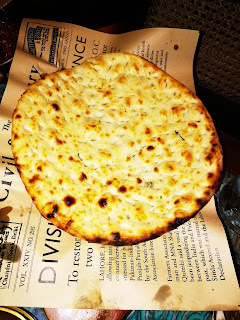 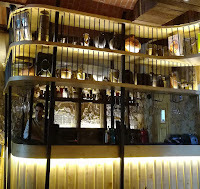 Borrowing from the rich heritage of the state of Punjab, the newest brainchild of Bright Hospitality, aptly christened as Ikk Panjab, has recently opened its doors to patrons in Rajouri Garden. 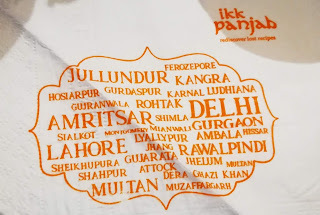 Ikk Panjab honors the undying spirit of the land of five rivers. 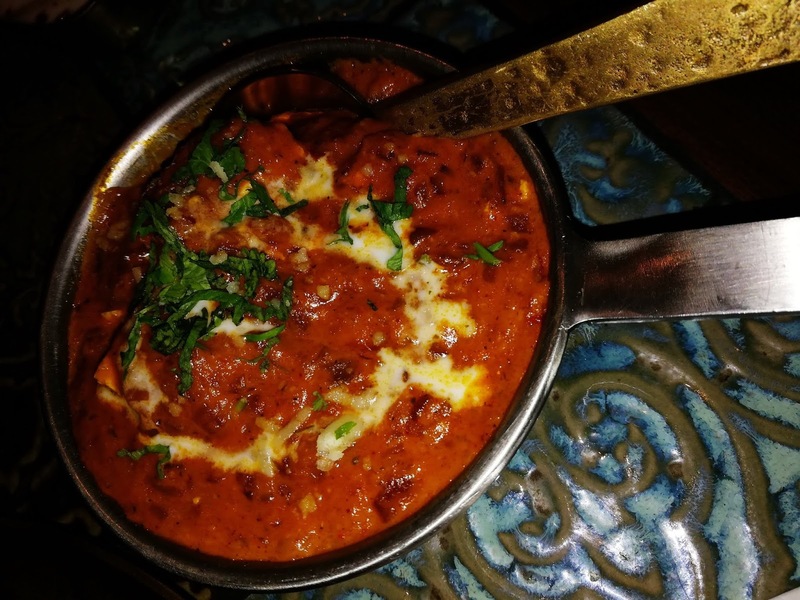 An earnest attempt to celebrate the culinary and cultural heritage of pre-partition, undivided Punjab, dining here is an absolute delight. 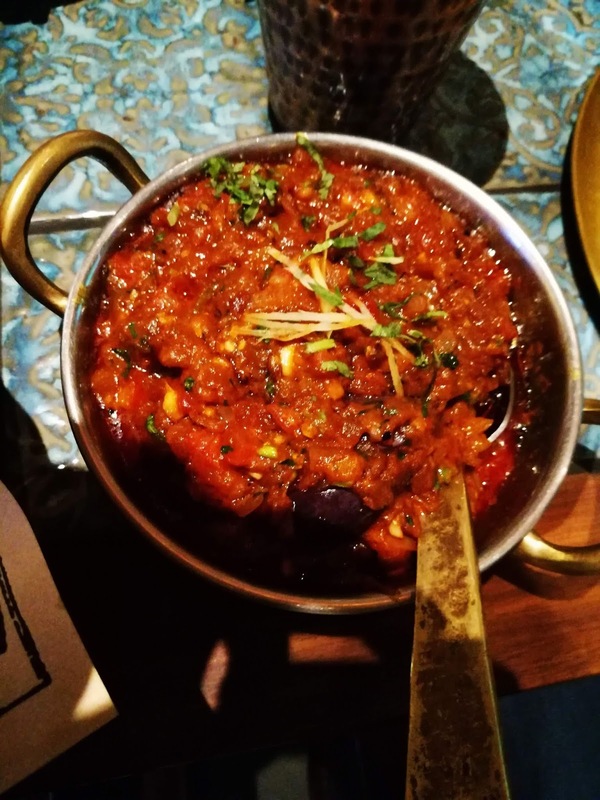 Punjabi Cuisine has been developed over a period of two-and-a-half-centuries thanks to its tryst with multiple dynasties under diverse realms. 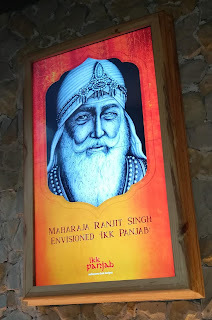 Ikk Panjab was the dream of Sher-e-Punjab Maharaja Ranjit Singh who formed the Great Sikh Empire that eventually fell prey to religious and communal disparities and split into East and West Punjab at the time of partition. 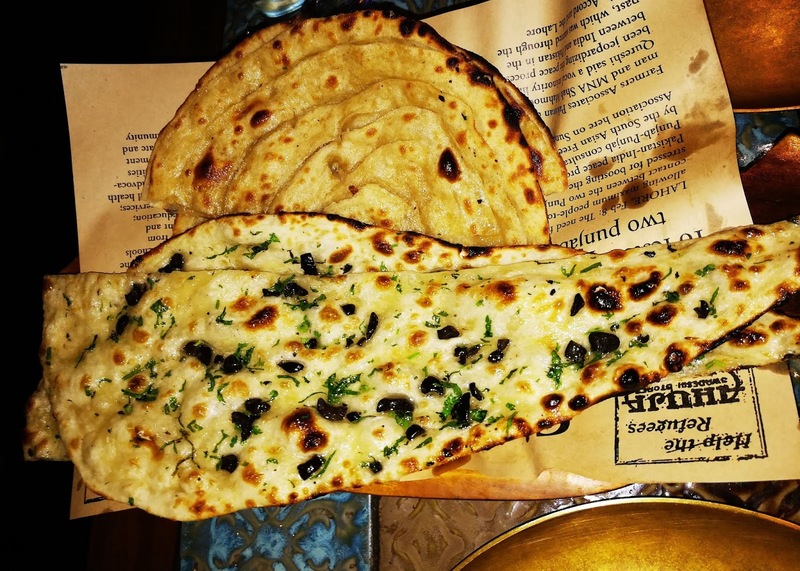 That is precisely when Punjabi Cuisine made its way into Delhi and is now amongst the most favorite of Delhiites. 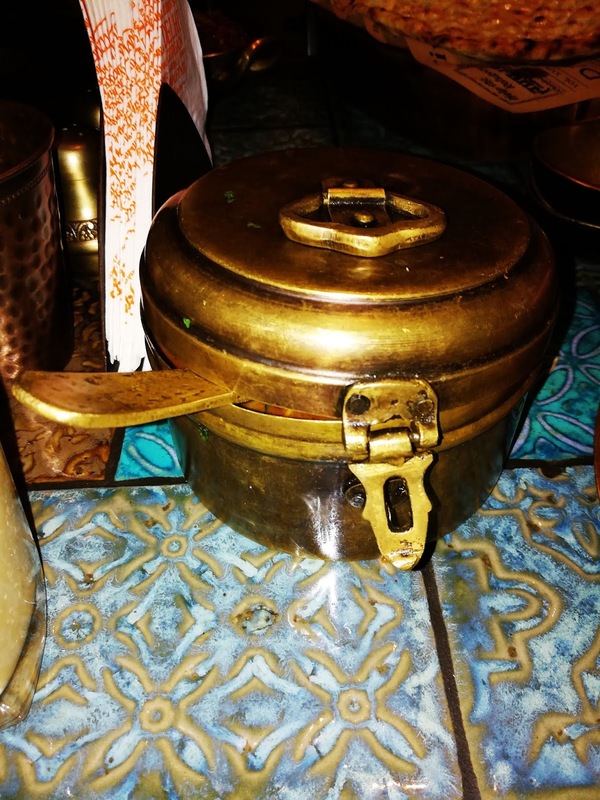 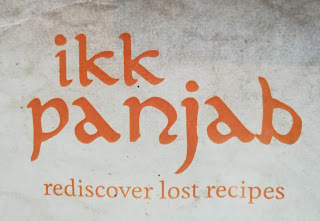 The kitchens of grandmothers and royal chefs have housed culinary secrets since time immemorial and Ikk Panjab banks on such authentic know how to present recipes perfect over time. 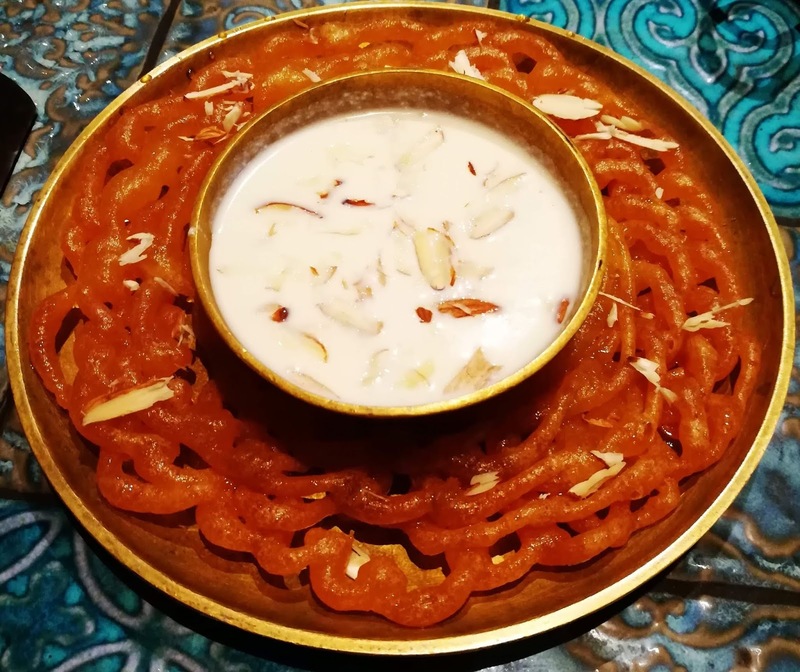 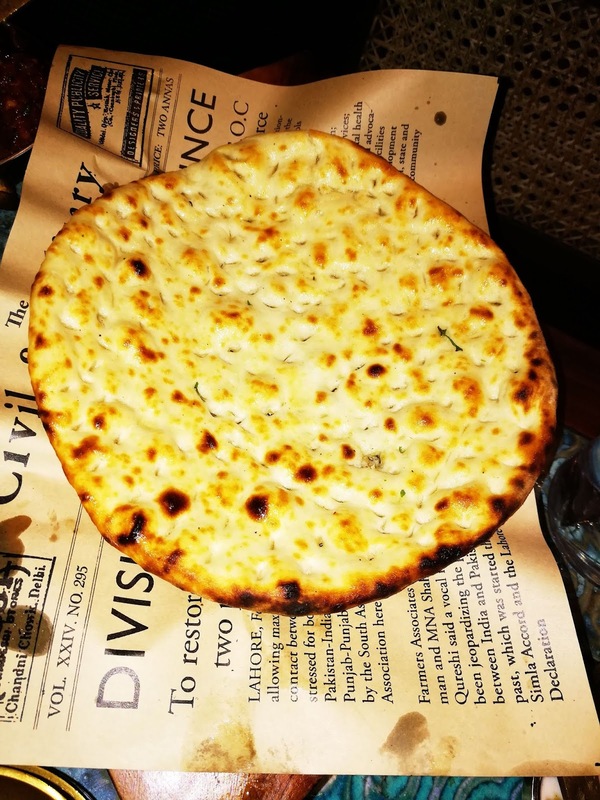 While the versatile menu boasts of recipes that have been sourced from a multitude of geographies ranging from Lahore, Multan, Faisalabad, Rawalpindi, Islamabad, Gujranwala, Bahawalpur, Sialkot in East Panjab to Jalandhar, Amritsar, Ludhiana, Patiala, Chandigarh, Bathinda, Hoshiarpur in West Panjab, the vibe and ambiance at Ikk Panjab is also adequate to visit the bygone era from the comfort of the present times. A certain grandeur reflects in all elements at Ikk Panjab - be it the decor, food, or prompt service. 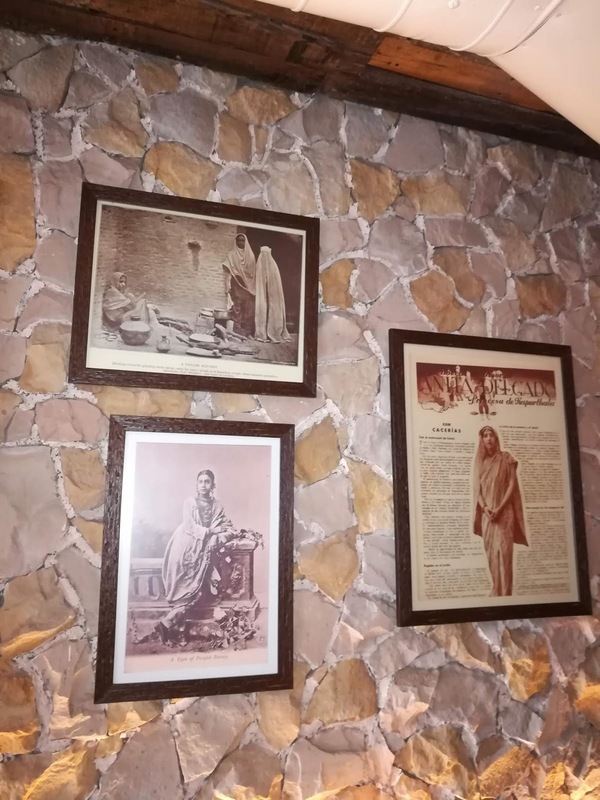 Several trinkets, literary works, pieces of information pertaining to the rich heritage of Punjab, and kingly portraits, all reflect the essence of thought that has been put in the execution of this concept. 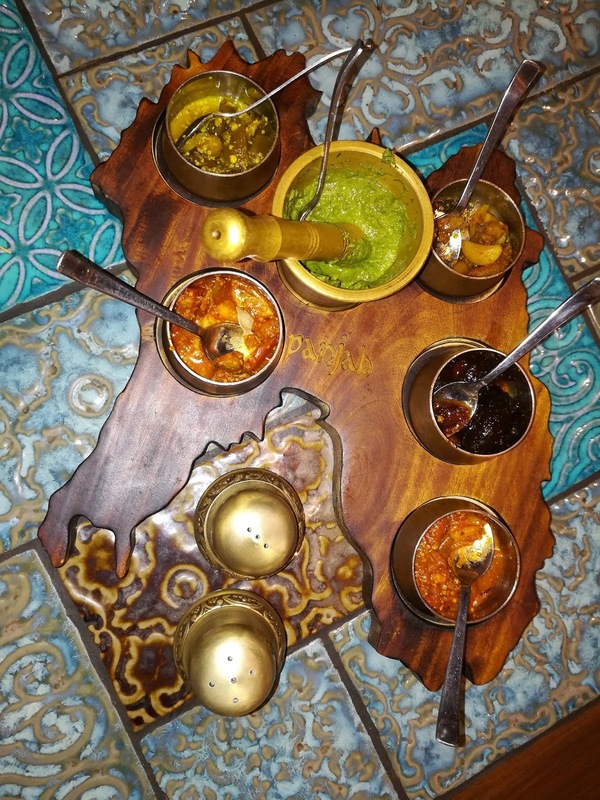 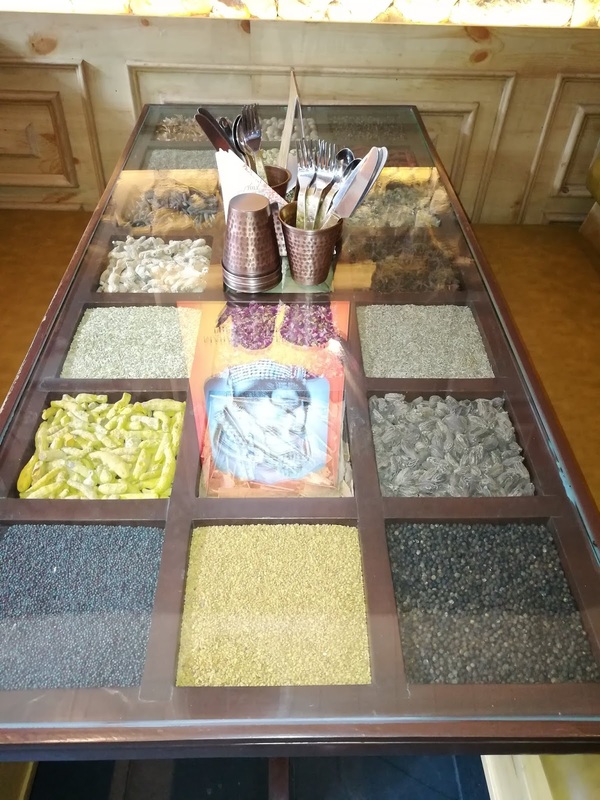 There are minute details that point to the fact that Bright Hospitality, as a brand has a keen eye for detail, like a row of spice tables - the first few tables near to the entrance being filled with spices of varied kinds - that are prominent in Punjab, and North India, in general. 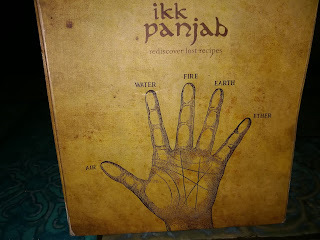 So much so that the folks at Ikk Panjab also emphasize the importance of eating with hands as each finger in our hand corresponds to an element, though there is no compulsion to do so. 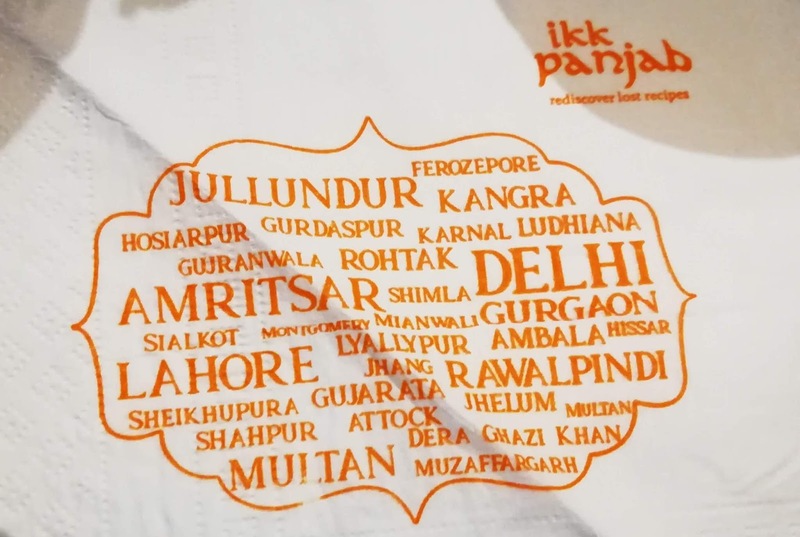 Moreover, believing that the fertile plains of Punjab make it a land of abundance and large-heartedness, the menu at Ikk Panjab has been curated in line with the concept of a portioned meal so as to minimize food wastage. 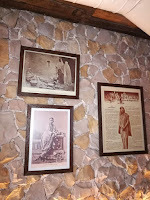 Welcome gestures, both of them, I must say. 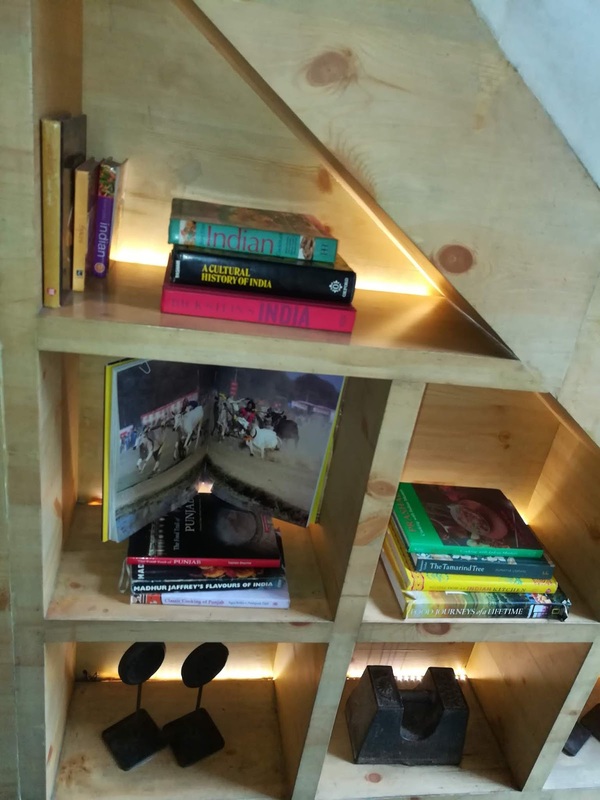 The seating arrangement at the outlet has been well-thought of, with ample seating available for all kinds of patronage, without cramping too many into one space. 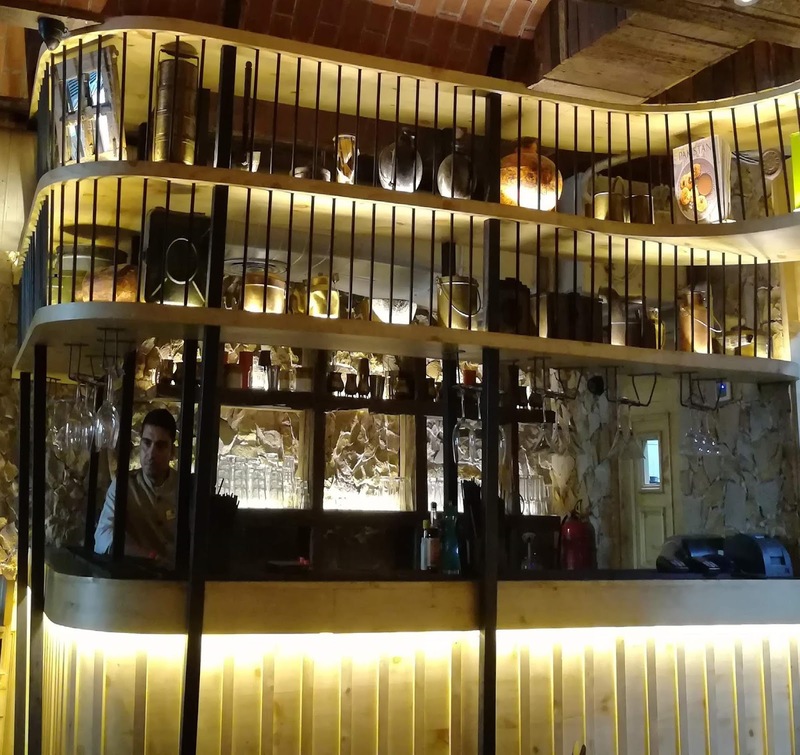 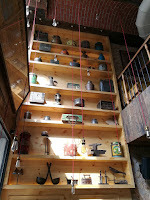 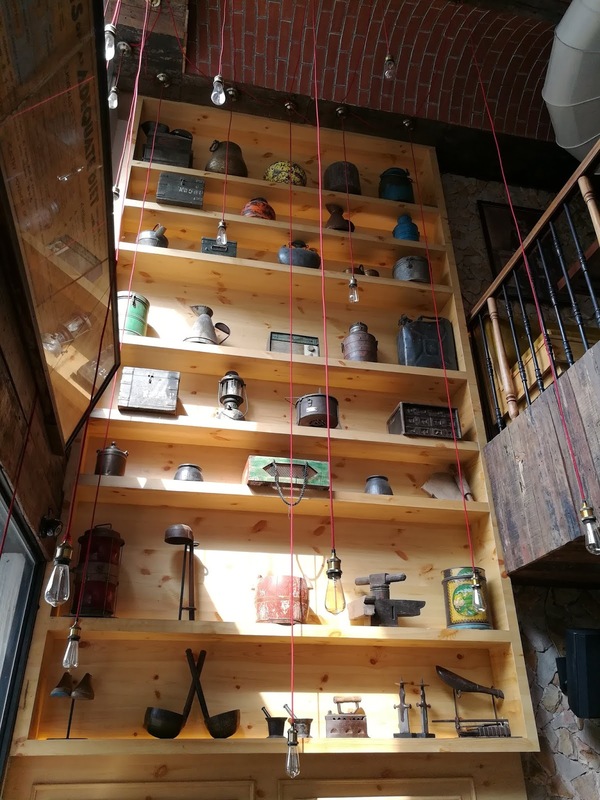 Given the fact that the restaurant is spread over two floors, you are bound to get a table of your like at the first instant. 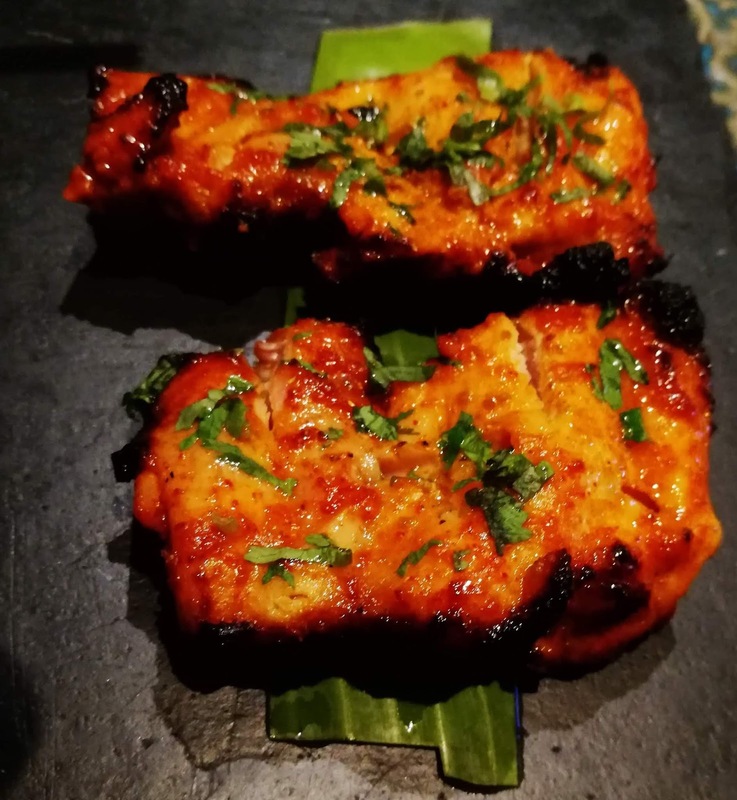 With the underlying theme of being able to 'rediscover lost recipes', patrons are spoilt for choice when it comes to being able to relish flavorful delicacies from the land of five rivers. Here's what I would recommend trying if you wish to appreciate the flavors of undivided Punjab at Ikk Panjab. 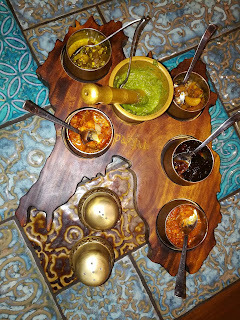 Among the front-runners, if you are game for street food are Apne Hathan De Gol Gappe that come lined up in copper tumblers for a खट्टा-मीठा delight, Palak Patta Chaat layered with sweetened curd, pomegranate seeds, and sev that makes for a crispy relish, and Mandi Da Special Dahi Bhalla which is the quintessential savory when it comes to street food in India at large. 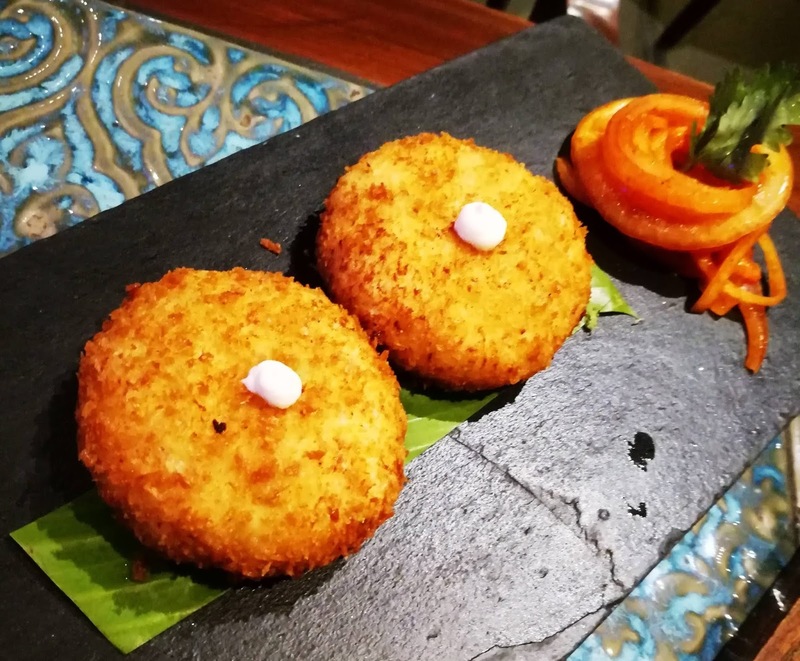 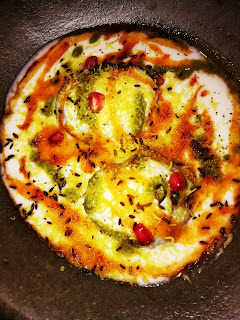 While Kurkuri Dahi is a crunchy pocket of hung curd that is cooked to perfection, Adraki Matran Ki Tikki is a hidden gem, and saying even that would be an understatement! 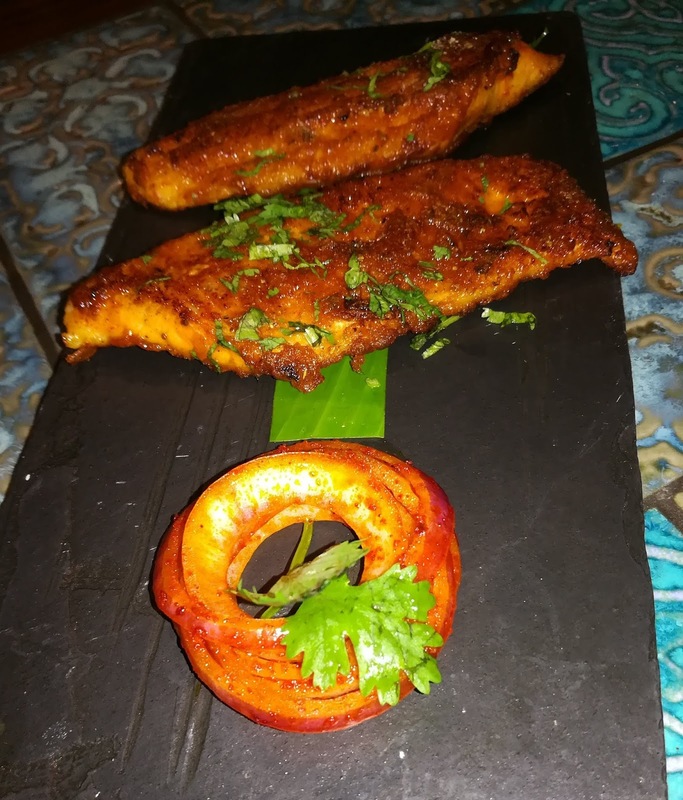 If you prefer the non-vegetarian route, Tawa Wali Masaledaar Machchi would be the best bet for soft, succulent chunks of fish with a hint of mustard. 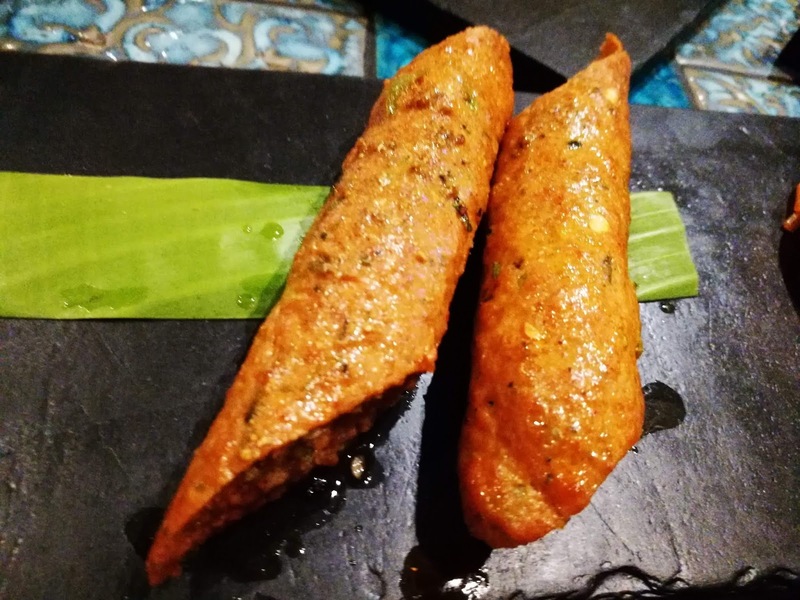 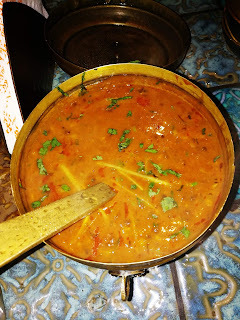 Thele Wala Chicken Tikka and Rogani Seekh were also prepared in the rustic style and had the characteristic flavors backing them. Since we're just bidding adieu to summer since the last couple of days, Aam Wala Bunta or Ambarsariya would be apt to relish the final mangoes of the season. 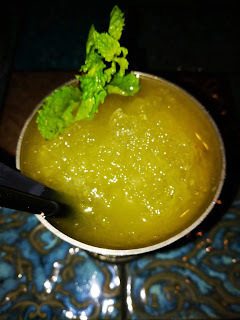 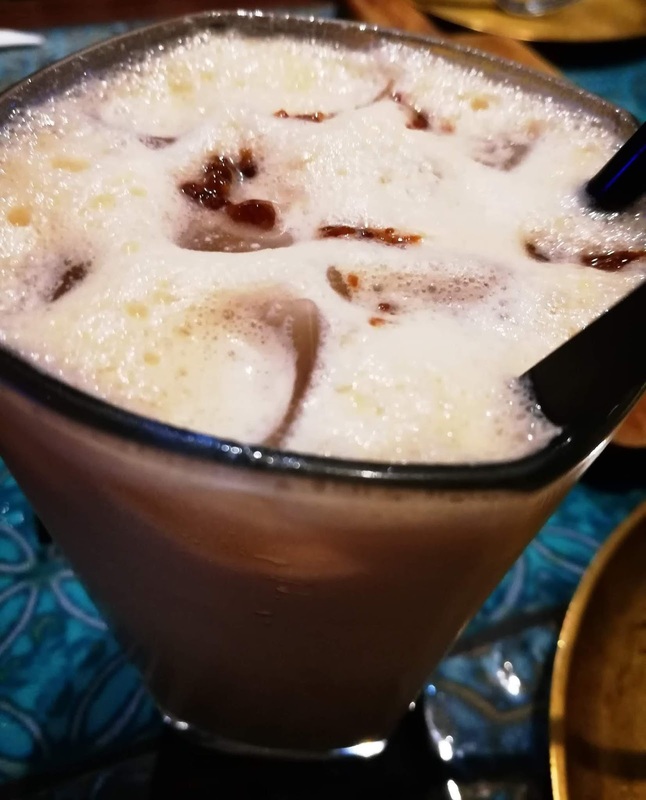 Another flavor that stood amongst the ones served in the bottle with a marble was that of Meetha Jeera Bunta that was lychee mocktail interspersed with Jeera for a digestive touch. Visiting Punjab and not savoring the customary Lassi or Chaas would be a crime. 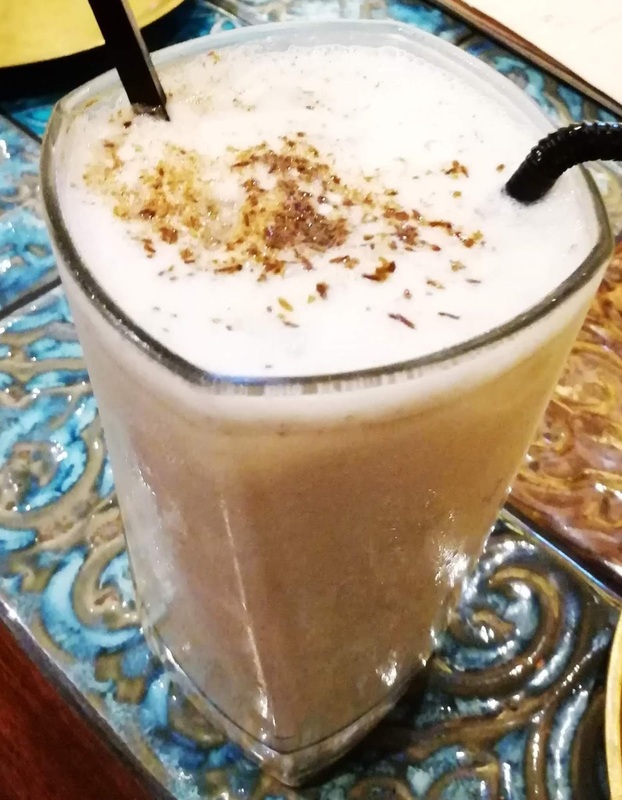 To avoid being in the bad books, Shahi Jeera Lassi or Desi Gud Wali Lassi and Namkeen Chaas could be the ones to provide respite. Since we're going gung-ho about Panjab, Dhaba Tadka Dal would be the dish to savor, being a melange of five lentils symbolic of the five rivers that flow through the land. 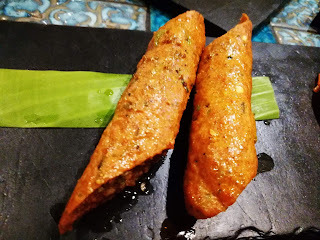 Achari Baingan is a hidden gem again, and I can confidently challenge any restaurant to incorporate eggplant in a dish in as delicious a manner as it was served at Ikk Panjab. This is one of the unmissable treats at Ikk Panjab. 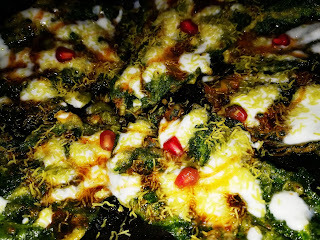 Paneer Lababdar is a classic dish done in a classic, appealing manner. 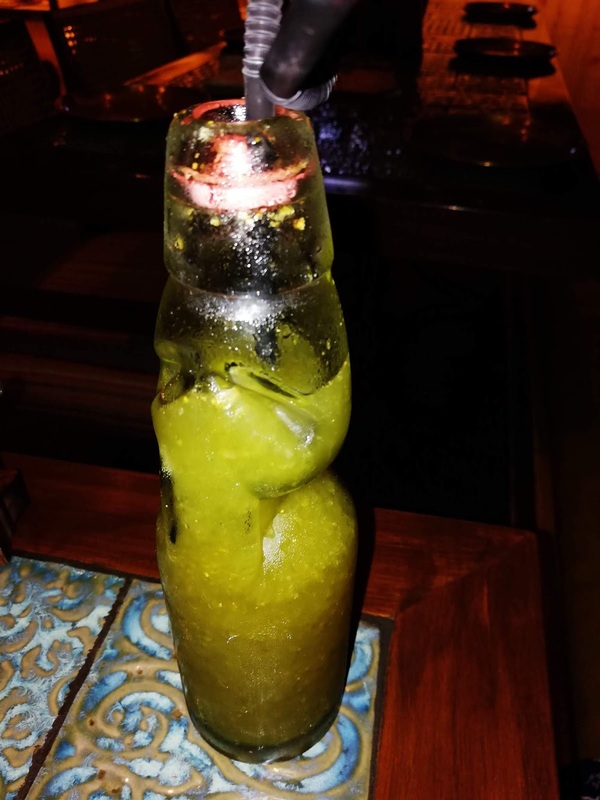 The flavor speaks for itself. We paired the curries with an assorted bread basket consisting of Khamiri Roti, Chili Olive Naan, and Lachcha Parantha. 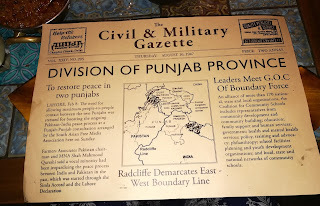 The platter again had a news piece highlighting the division of Panjab in 1947. 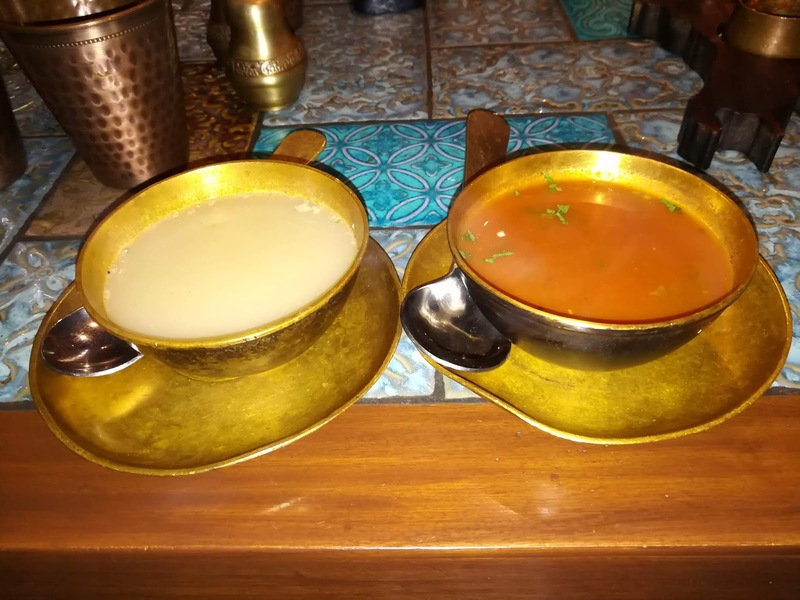 Kukkad Da Shorba and Tamatar Dhania Shorba are two of the prime broths, and either of them makes for a good one-pot meal. 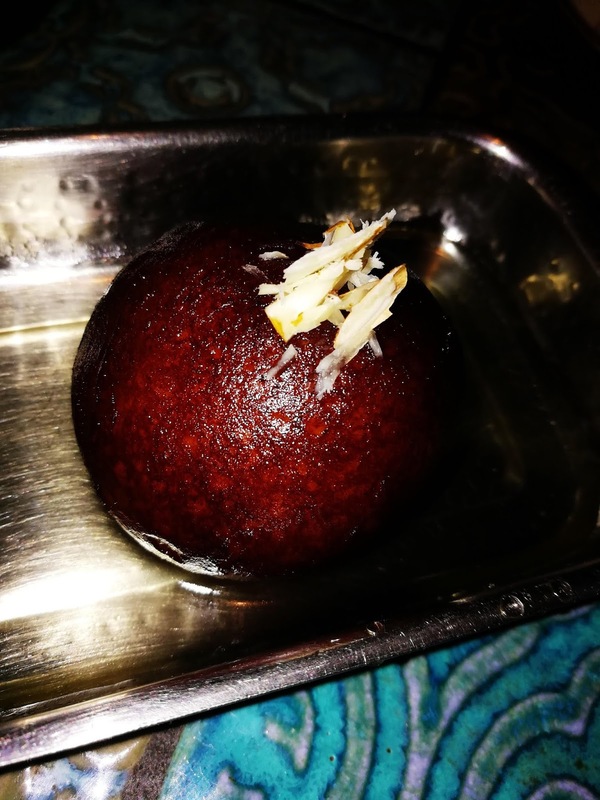 If you have a prominent sweet tooth like me, you would figuratively kill for the sheer variety of Punjabi desserts on the menu. 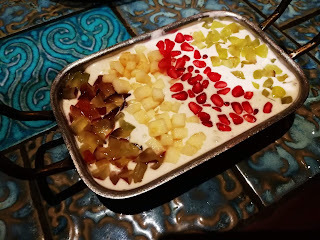 Lawrence Road Fruit Cream is a sweet delight of assorted fruits like grape, apple, and pomegranate. Lahori Gulab Jamun is a syrupy yet soft giant with assorted nuts on the inside. Apart from the delicious food, I would like to commend the staff at Ikk Panjab for their prompt and attentive service.